The directions that were brought by the contingency school which are based on the principle that there is no ideal and unified way in managing the organizations, as well as understanding the interactive relationships between the parts of these organizations and its external environment. These latter can help them to make strategic decisions ,and choose the appropriate alternatives,for the final goals that the organization is always seeking to achieve and succeed in light of its own design. This study sheds light on the relationship between fit(strategy/structure) and organizational effectiveness in the organization, and measures the impact of this fit on the institution’s effectivenes. 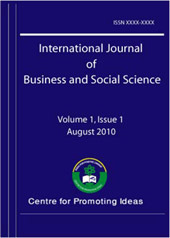 The survey was conducted on a sample of 73 medium and large institutions in the northwest of Algeria, where we found that there is a relationship between strategy and organizational structure, and in framework fit (strategy/structure), and that the institutions achieve the highest effectiveness through this fit in contrast to institutions that are without fit, on the grounds that the institution is the framework which defines within it the strategy to achieve its goals.